Welcome to the month of April. Spring is in the air, and so is the Saison style of beer. We’ll be featuring Saisons at the shop beginning Saturday, April 15th – April 22nd. We chose this style for April as it neatly fits in for this time of year. ‘Bier de Saison’ literally translates to ‘beer of the season’ and originally brewed by farmers in the French speaking part of Belgium. Saisons are commonly referred to as ‘farmhouse style ales’. What this means more generally, is that they were brewed with whatever ingredients were available down on the farm. The beer would be brewed at the end of winter, stored when it was still cool (as refrigeration was not available), and consumed during the warmer months. Farm workers in the fields were allotted up to 5 liters each day. We’re not sure how much work they actually got done, but at least they were happy. Moderate alcohol and thirst quenching on the palate. Traditionally Saisons have enjoyed a wide style description. In modern times however we can narrow our focus on these beers. Pale orange to golden in color, these beers are fruity and feature citrus flavors. Moderate hop presence gives way to pepper and/or clove flavors. Moderate maltiness marries into a light alcohol presence. A light to medium mouth feel enhances the fruit and spice flavors. Come join us all week to experience these unique beers!!! Six Saisons will be on tap all week. Flights of 6 (for $15) will be available as well as pints. It’s farmhouse beer time! 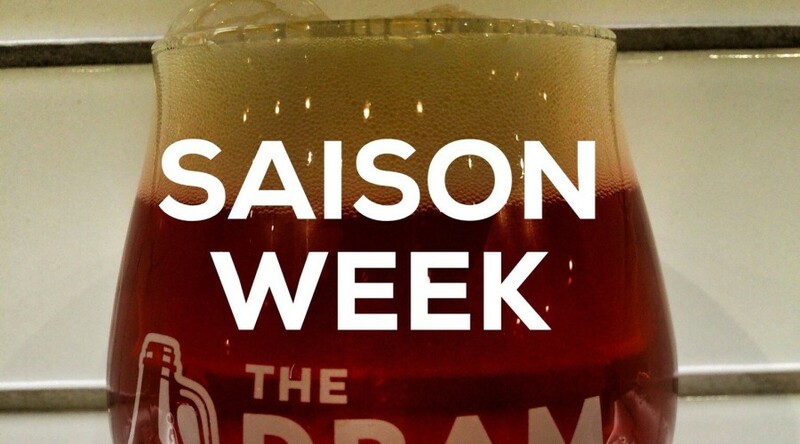 Saison Week starts Sunday, April 17th! We’ll be featuring Saisons at the shop beginning Sunday, April 17th for a week. 6 American Saisons on tap all week. Flights of 3 or 6 will be available as well as pints. It’s farmhouse beer time! This past March, The Mighty Mo Brewing Co. (in Great Falls, MT) held a homebrew contest, and the winner was a Smurf. Seriously. But it’s not quite that simple. The style of beer was a Belgian Saison—a beer brewed with belgian yeast and featuring funky, sweet, and peppery overtones. 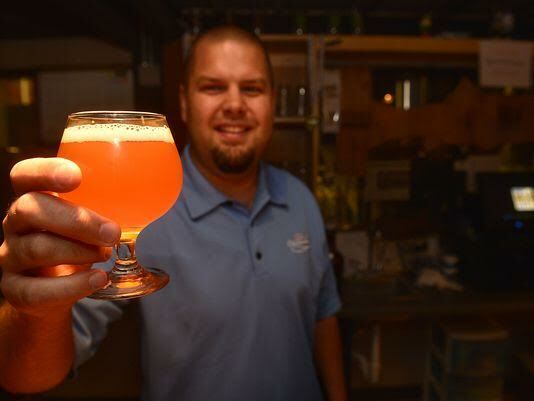 The beer was brewed by Missoula’s Clint Nissen, and he has his kids to thank for the name. As he was trying to think up a name, his kids were watching The Smurfs cartoon. So he decided to google Smurf. It turned out to be a Belgian cartoon, and the Saison had a name. The prize for winning the contest for Clint was to go into The Mighty Mo Brewing Company and brew a batch of ‘Smurf’ on their brewing System. With only 20 kegs available, we were thrilled when Clint called to see if we wanted to serve a keg of the Saison at The Dram Shop in Missoula so that we could give everybody a chance to give it a try. We’ll be tapping the homebrew keg of Saison this Wednesday June 3rd! Come on by have a pint! Check out the article in the Great Falls Tribune about the contest!